Have you ever wanted to be involved in the video game creation process but aren't a game professional? If so, you might want to jump on an opportunity being presented by veteran video game developer Bugbear. The Finnish company claimed its fame in the gaming world with the release of its popular mayhem racing game, FlatOut. The popular demolition-style racer developed a cult following and featured a rather sophisticated physics engine for its time (released in 2005). Since FlatOut's creation, Bugbear has developed a few other racing titles, the most recent being Ridge Racer Unbounded (released in 2012). The company is now ready to release its next big vehicular blockbuster, and its turning to Kickstarter to help fund it. The developer had originally planned to do its crowdfunding through its personal website, but has since moved to the Kickstarter platform, most likely due to the site's popularity. "Next Car Game" (working title) has a set funding goal of $350,000 which must be raised by December 1st, 2013. The good news is that $27,871 worth of funding has already been posted to the Kickstarter page, with 27 days to go before the deadline is met. What makes this Kickstarter campaign unique is the inside development track that Bugbear is offering to its backers. It isn't cheap, and a dollar isn't going to get you an invitation to their Helsinki-based office, but if you have some spare piles of money around and want the game developing experience this could be your ticket. 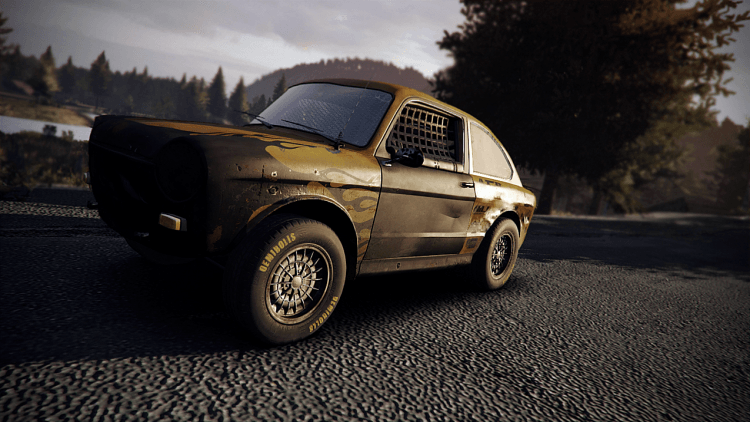 "Designer" rewards start at $1000, which will give you a chance to design your very own vehicle paintjob that will be seen by everyone playing the game. $5000 will set you up as a track designer, allowing you to work closely with level designers and developers to bring your race track to life. Backers will even get a chance to help name the working title, giving all small donators out there a voice in the process.